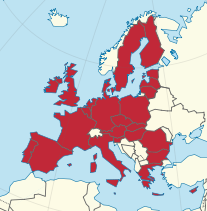 One interesting fact about Croatia joining the EU in 2013: after this takes place there will no longer be any country within Europe that does not border an EU state. Two exceptions here: Iceland (nothing borders it), and Kosovo (still recognized by some, not by others). It's hard to see here but Croatia and Montenegro border each other on the southeast part of Croatia along the coast. Now half of Serbia's neighbors are EU states too (four out of eight, once again ignoring Kosovo for a moment for simplicity), Bosnia and Herzegovina suddenly has an extremely long border with the EU and Slovenia is nicely tucked in on all sides. If Kosovo eventually becomes a fully or mostly fully recognized state then it will take Macedonian or Montenegrin membership to make this no country without an EU state on the border phenomenon a reality. 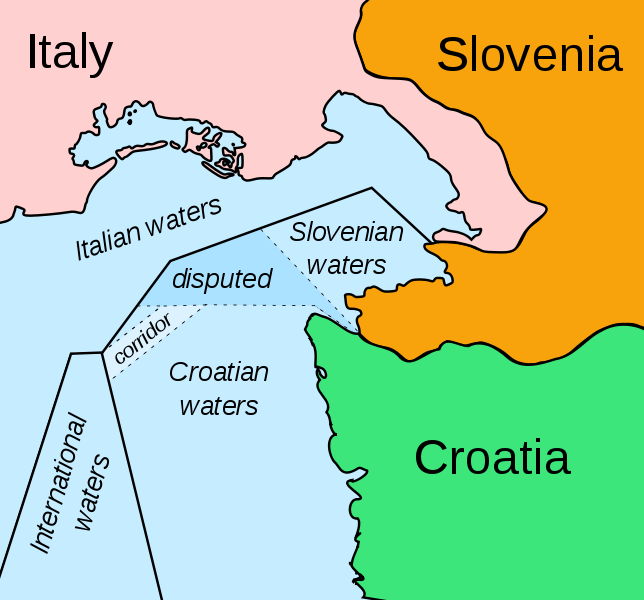 Croatia really does have its fair share of ocean territory, mind you. 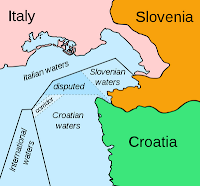 I found out the other day that the reason why Bosnia and Herzegovina has a tiny strip of access to the sea is actually not due to any bilateral concession (as is usually the case with something as awkwardly tiny as that) but because of a country called Ragusa gave the territory to the Ottoman Empire so that it wouldn't have to have a land border with Venice.